Simple, shareable, and satisfying, our Lemon Tahini & Chilli Sweet Potato Fries bring a fresh flavour to french fries! 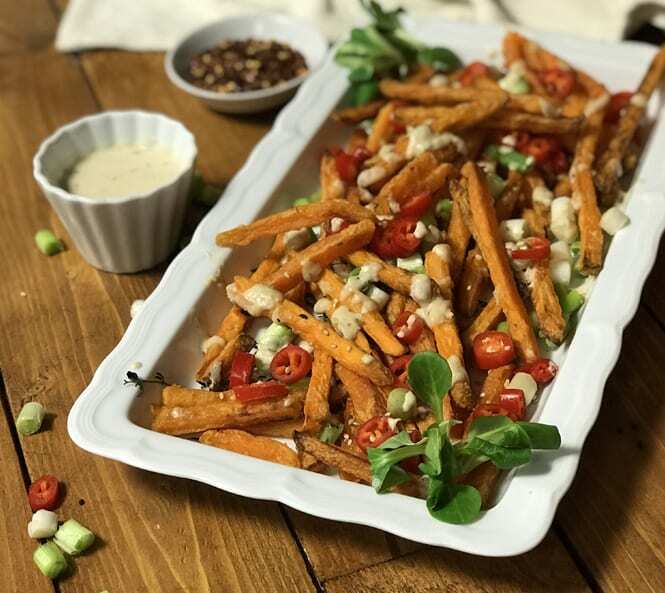 Using our Oven Baked Sweet Potato Fries as a base, dress the flavours up with fresh lemon and zingy tahini. Add a bit of a kick with just two chillies and you’ll end up with a palate-pleasing side or starter. Preheat the oven to 200°C and cook the Oven Baked Sweet Potato Fries as per instruction on the pack. In the meantime, chop the chillies and scallions. Mix the tahini and lemon juice. Arrange the sweet potato fries onto a platter, mix in the chillies and scallions. Drizzle with tahini and sesame seeds and serve.